We barely scratched the surface of Chicago. 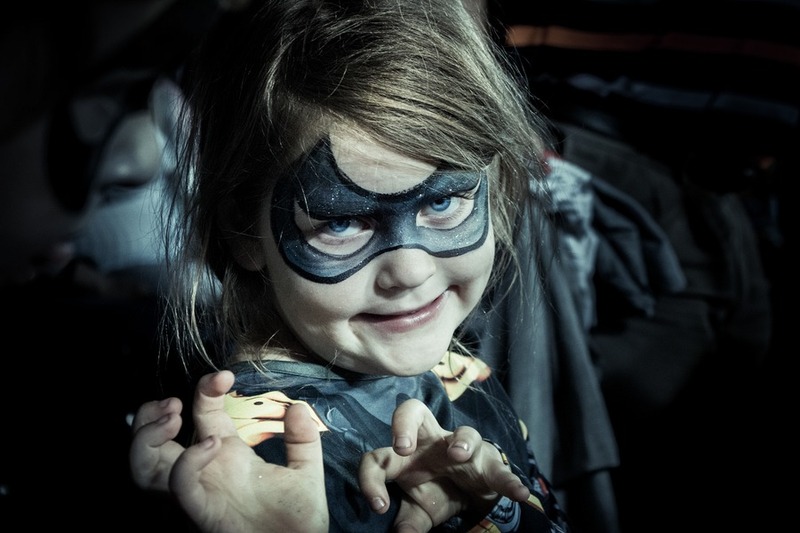 With only 5 days at our disposal and so much to do, we vowed to come back later this year. Chicago is an amazing city. It was so much brighter, cleaner, culturally rich, diverse and dynamic than I expected. It’s easy to see why visitors fall in love. But most importantly, there was so much to do! 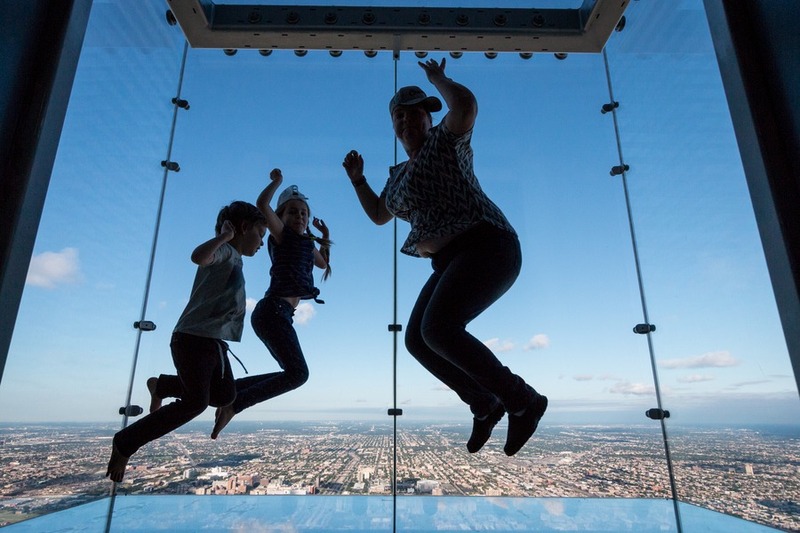 Choose Chicago is an invaluable resource to find things to do in Chicago and they helped us make the most of our time in The Windy City. 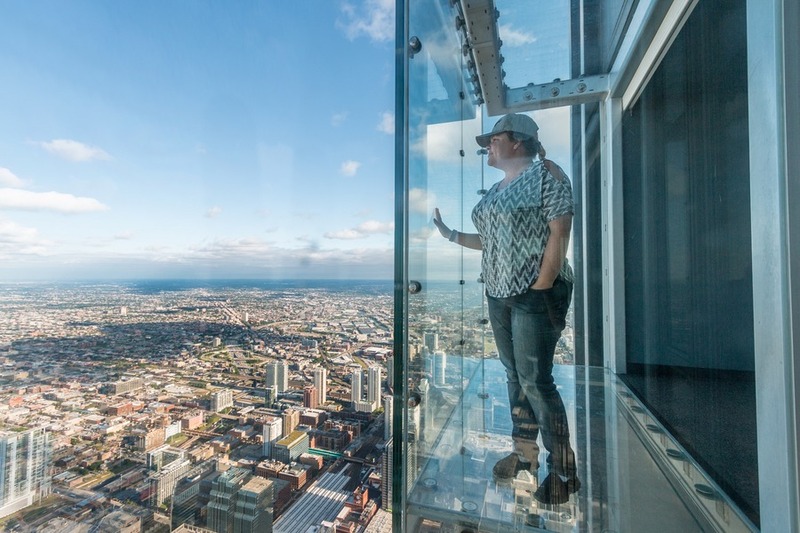 A Lonely Planet book is also good, but for our take, here are 10 things in Chicago you don’t want to miss on your next visit. As in most new cities we visit we enjoy a good hop-on-hop-off tour to gain an introduction to the city. And the Chicago Trolley was no different. 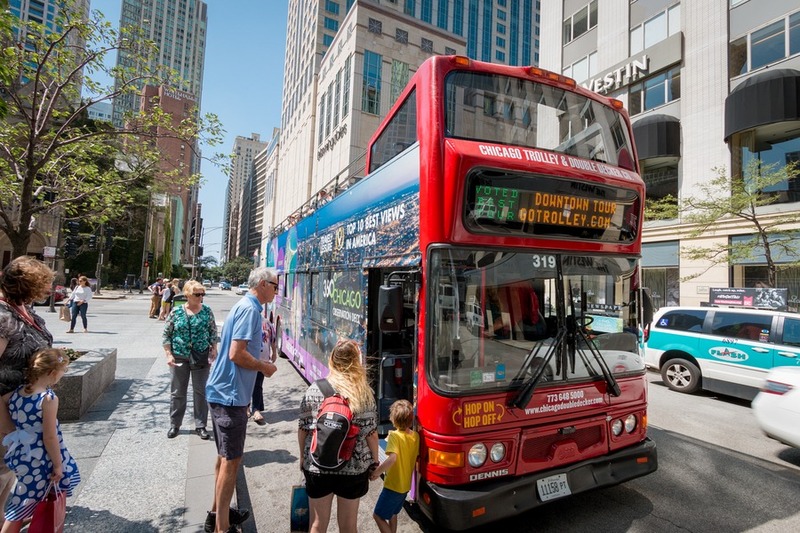 This time we tried something different and took a trolley in addition to a double-decker bus. It was just as scenic and since we caught the first loop of the day, we had it mostly to ourselves. There are plenty of places to hop off in Chicago, so make sure you keep your map handy. Not many cities have a free inner city zoo. But Chicago does! It’s a little fiddly to get to Lincoln Park Zoo via public transport, but it’s worth it (try Uber instead!). 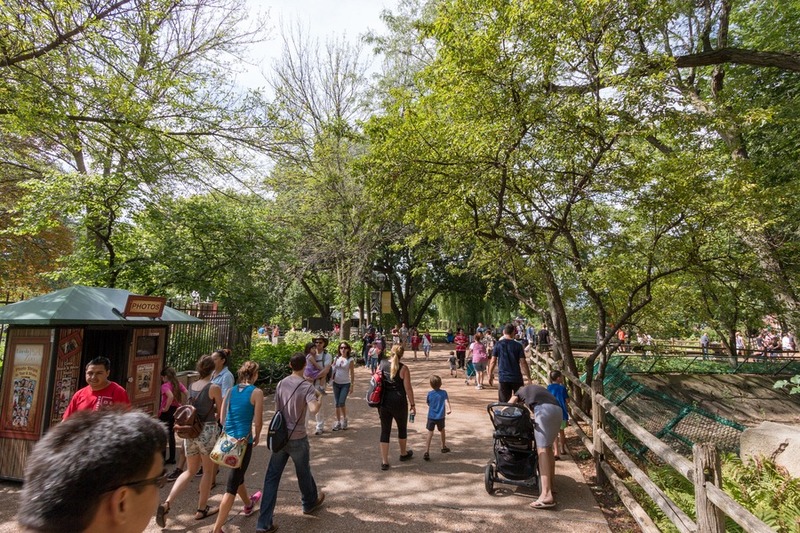 35 acres of parklands and animal exhibits includes lions, polar bears, gorillas and monkeys, about 1,100 animals and some 200 species. 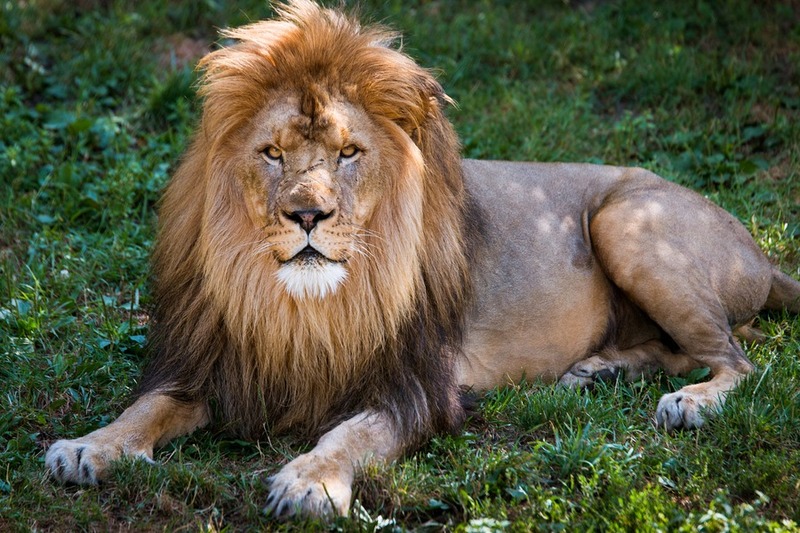 Founded in 1868, Lincoln Park Zoo is one of the oldest zoos in the United States. Skip the kiddy train; it only goes around in a small, uninspiring loop. So use the ride coupons on the carousel instead. Chicago is famous for two great baseball teams – the Cubs and White Sox. 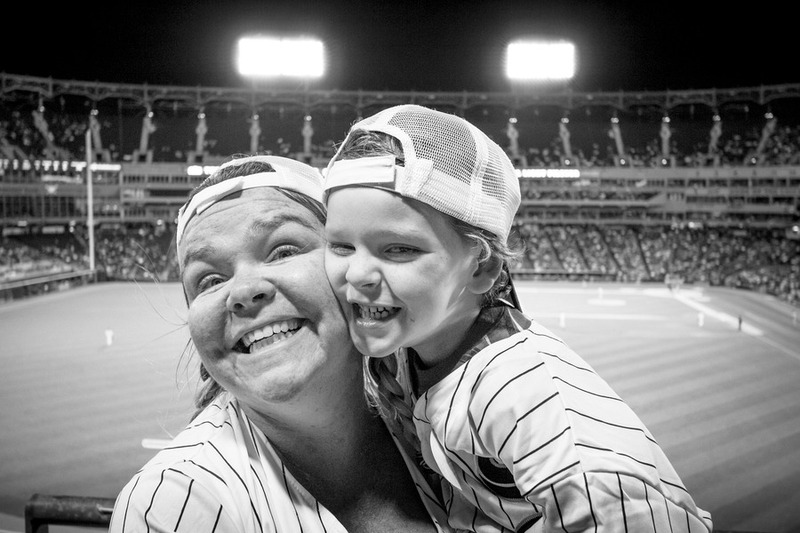 While we were in Chicago we got to take the kids to their very first baseball game at the US Cellular Field to see the Chicago White Sox take on the Boston Red Sox. It was electric. 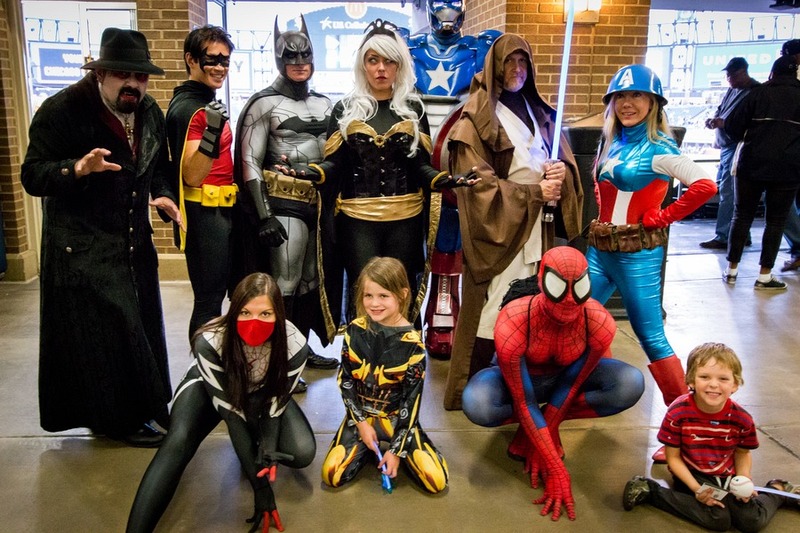 The night we attended was themed with super heroes, and characters dressed up roamed around the whole evening. 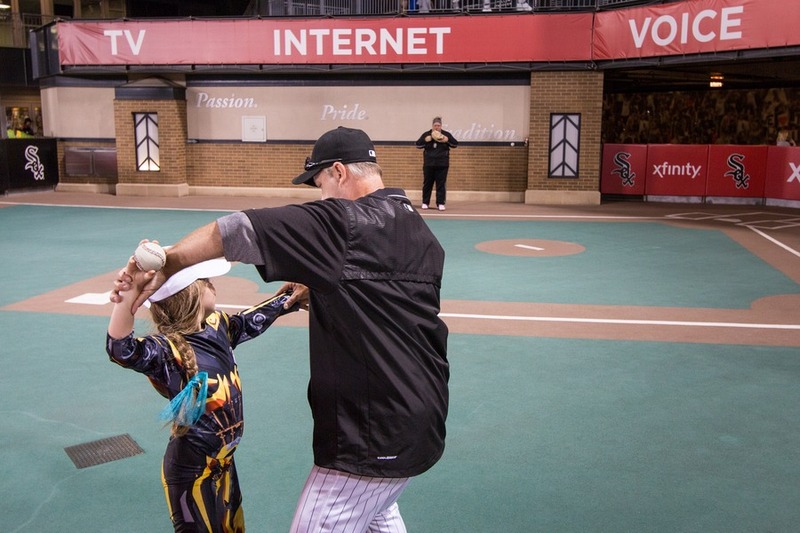 There is even a children’s area where kids can race, play baseball and enjoy other interactive games. Just remember to bring sneakers – no shoes, no play. I can’t tell you who won that night (Josh can), but I can tell you we had a great time soaking in the atmosphere and cheering on the White Sox. 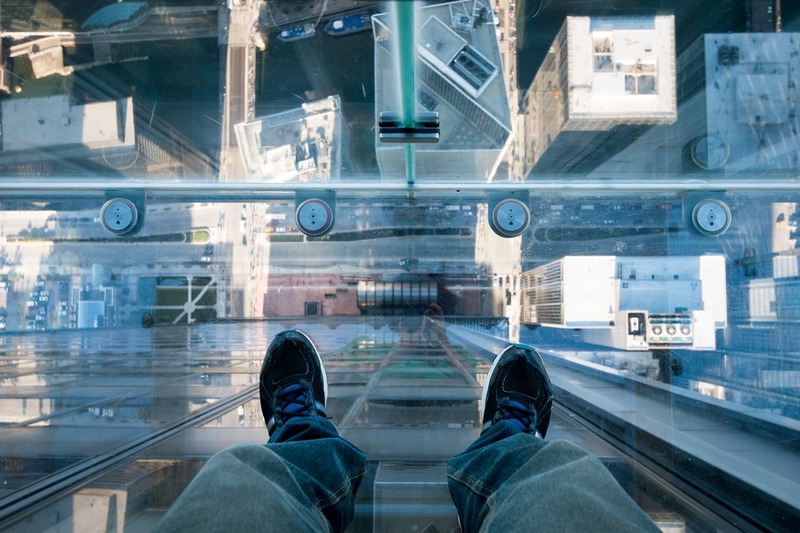 103 floors above Chicago’s pavement you will either be terrified or amazed at the views. We enjoyed breakfast all by ourselves in the Willis Tower and watched the sunrise, which was a must-do experience. Check out this article for more details. Or if you turn up during regular operating hours, the view is wonderful too – but you’ll just need to share it with a few more folks. 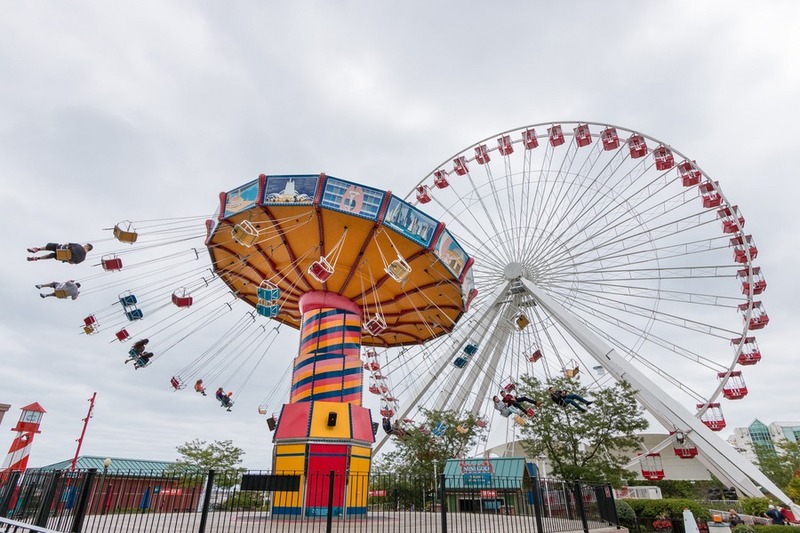 If the Willis Tower is out of reach, consider a trip to Navy Pier. 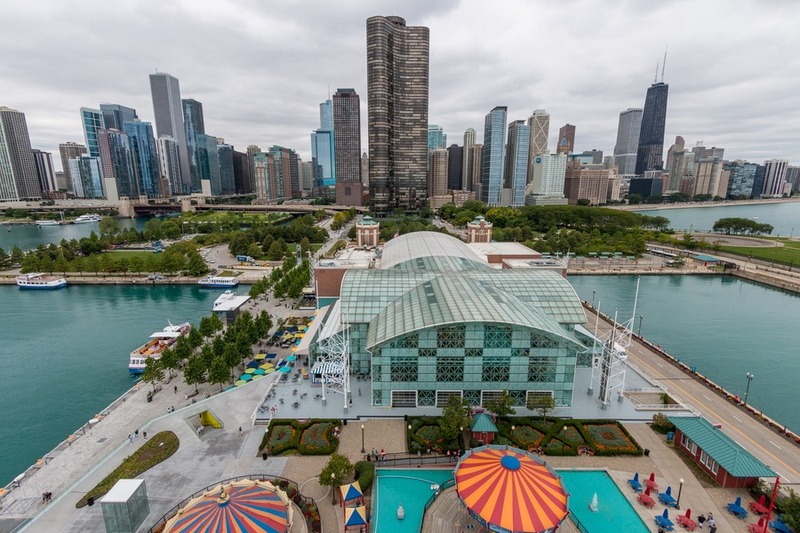 Navy Pier is a 3,300-foot long pier above Lake Michigan. 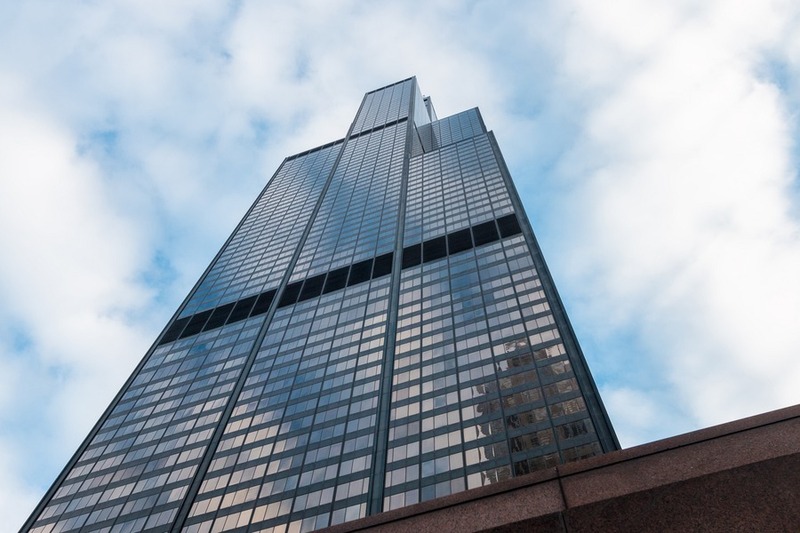 This is one of the most visited attractions in the entire Midwest USA and Chicago’s number one tourist attraction. Unfortunately you probably won’t get to ride the Ferris wheel that we did to see the sights of the city, but in 2016 they will be opening a brand new one, which is sure to knock your sox off (see what I did there). Our kids also enjoyed a few of the other rides on the pier before heading to activity number 6! 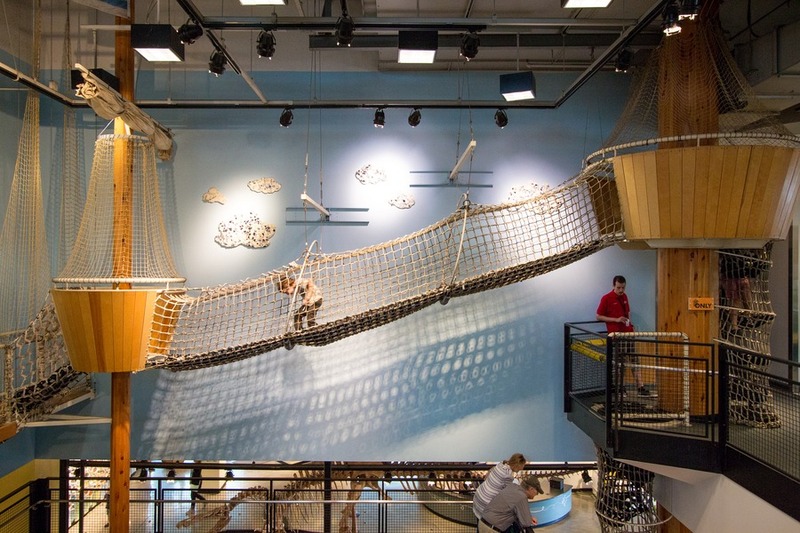 Chicago Children’s Museum has a home on Navy Pier. Three floors of excitement for any child. 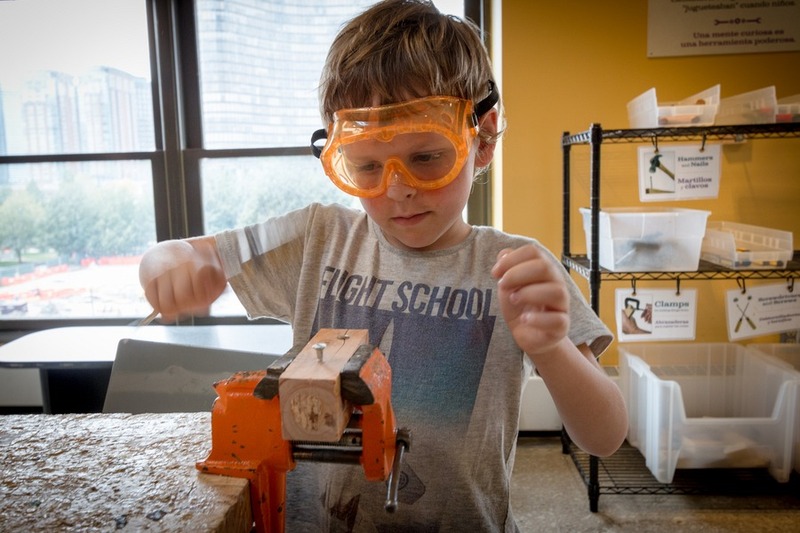 Our kids dug for dinosaur bones, climbed a three-story schooner, pumped water, made real wood art with hammers and nails, dressed as fire-fighters, painted, fished and shopped at a grocery store. Honestly it was hard to drag them away. Check the museum’s website for up-to-date admission pricing and hours. All that playing and touring is bound to leave you hungry so eat out at Chicago’s famous pizza restaurants. 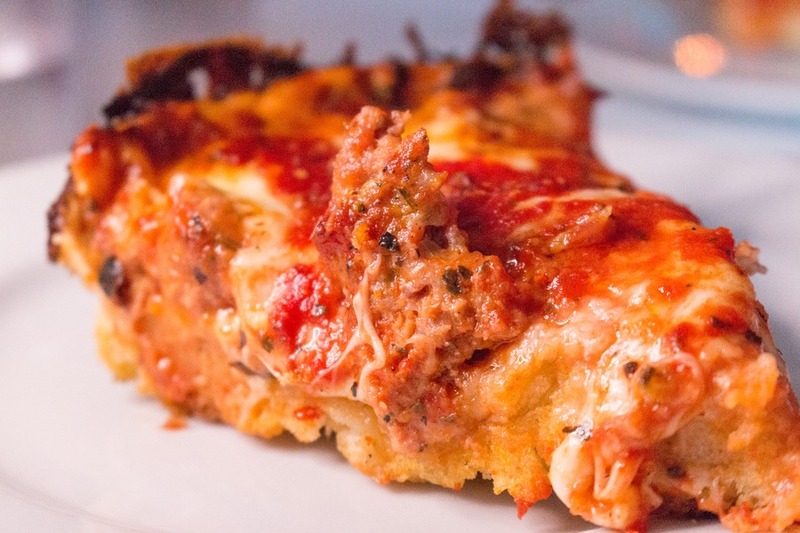 Better yet take a Viator tour of the best pizza spots in Chicago. You may never eat pizza again. 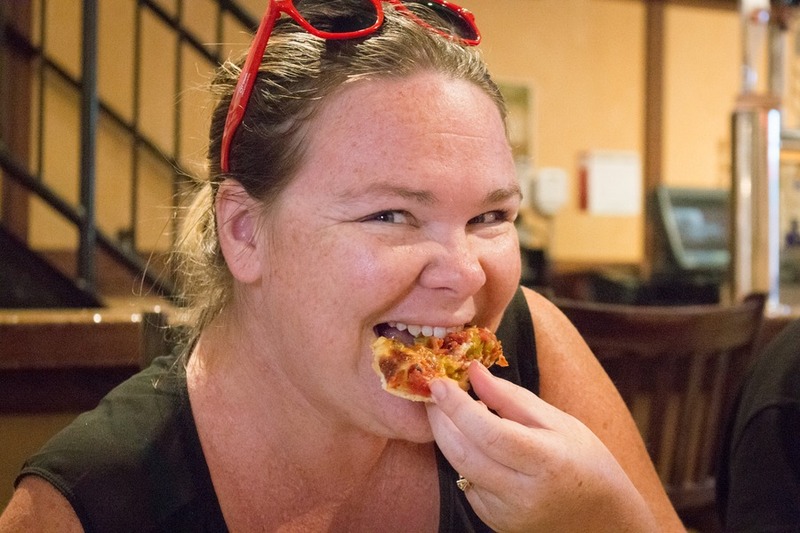 Read where to find the best pizza here. 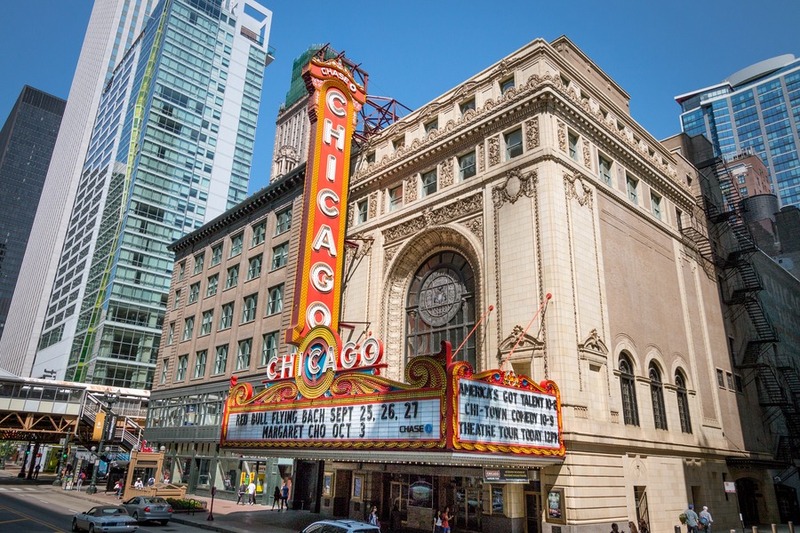 With a theatre show named “Chicago” you know this city will have it’s fair share of productions. Even the kids have their own Broadway Playhouse. 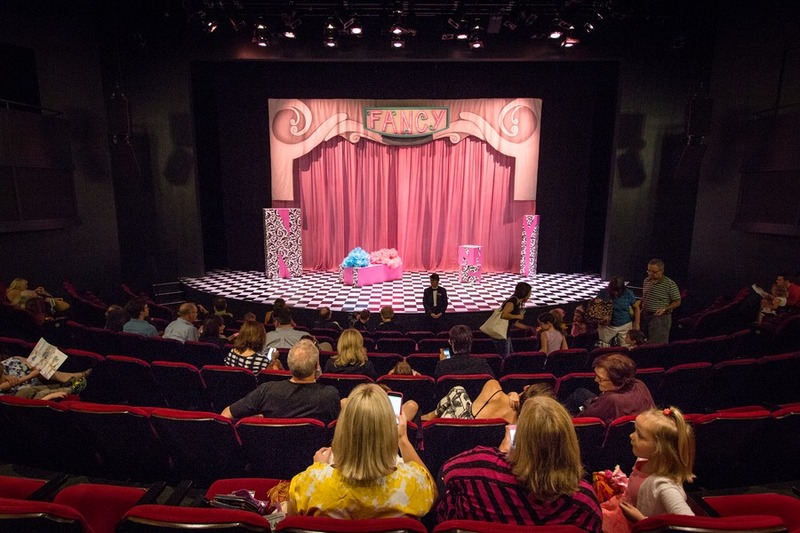 We took our kids to see Fancy Nancy The Musical by Emerald City Theatre and it was brilliant. 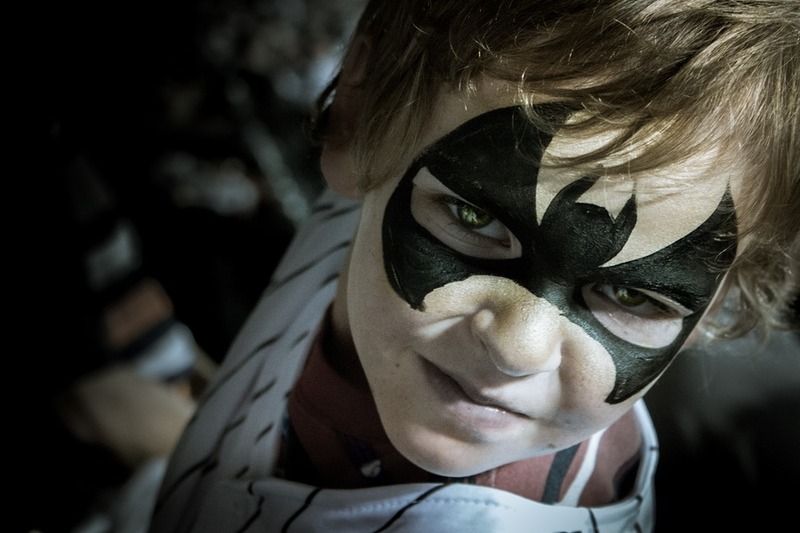 The kids were enthralled the entire time and came out seeking feather boas and gloves. 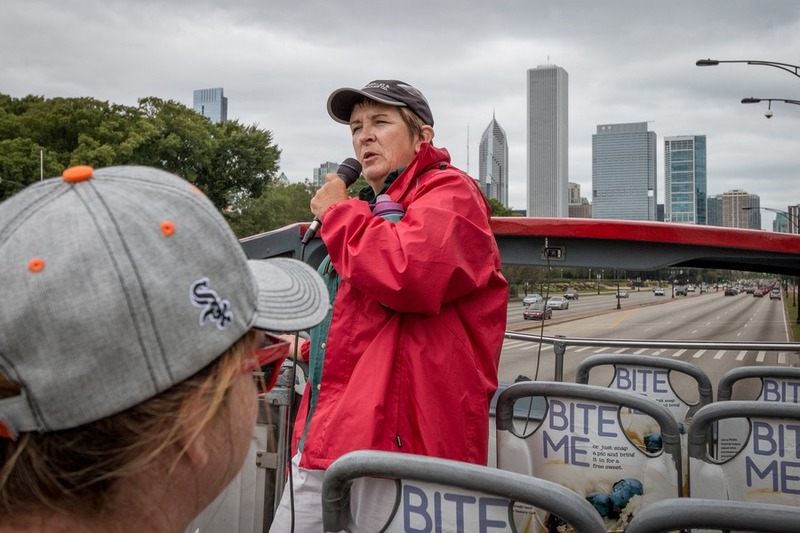 What’s better than a guided tour of Chicago? A local tour. We made friends online with a lovely lady who had an Airbnb apartment that we stayed at. And she was also kind enough to show us around her favourite parts of Chicago. We ate at an authentic Mexican restaurant, strolled through fabulous playgrounds and enjoyed summer Puerto Rican dancing. Number 10 is best done without the kids so hire a sitter and take your partner out on the town. Our choice was a comedy show at Second City Theatre. The walls are filled with photos of big time actors before they were famous honing their improv talent at Second City Theatre. We watched Panic on Cloud 9 and I do admit I have never laughed so hard. The sticky tables and fried food added to the charm of the close quarters and my first time watching live comedy was a complete success. 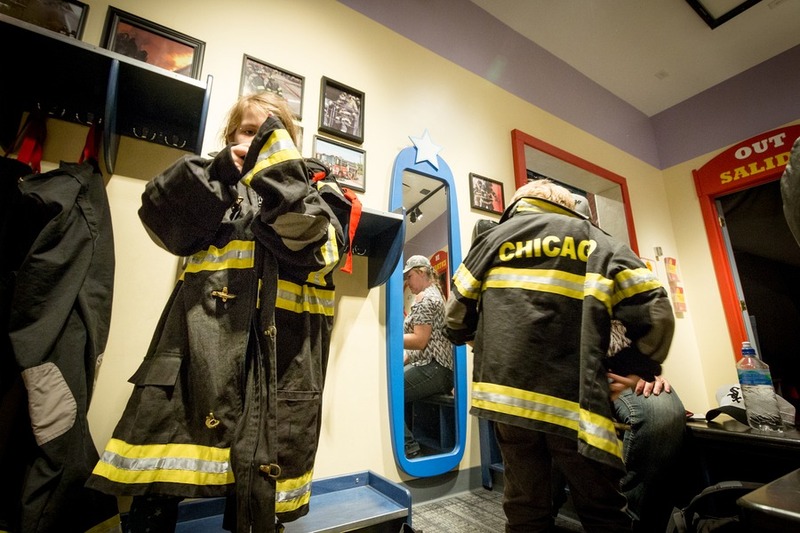 This list isn’t exhaustive, because there are hundreds of things to do in Chicago with kids. We’ll be adding a few more after our next visit to the Windy City. But in the meantime what else would you add? Share your comments below. You have to take the kids to the Science Museum it is amazing. And the Shedd Aquarium. Chicgo is beautiful city in usa . This is traveling place . Amazing blog! I am one travel lover and i want to explore all over the world. Would you like to join me? Anyone? It's free! Awesome post! I like travelling with my friends and Chicago seems to be an attractive place to visit. 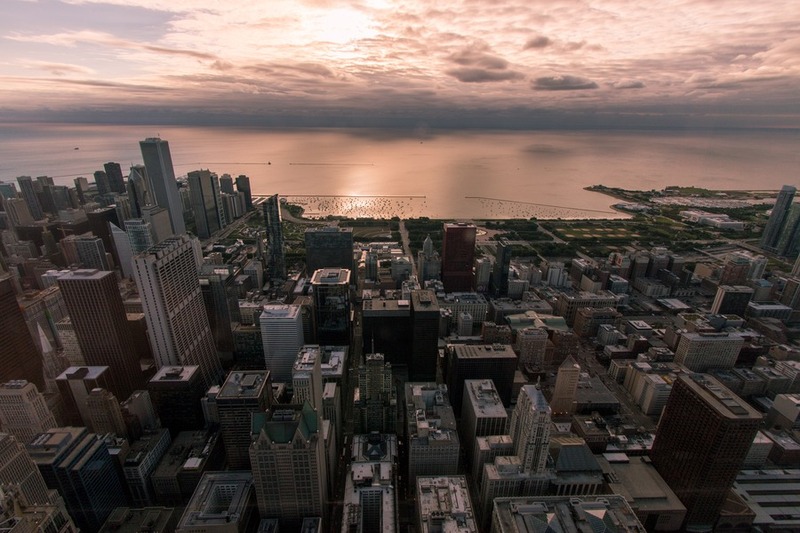 The places to visit suggested by you along with the splendid photos will surely be helpful to the one's planning a trip to Chicago. As a Chicago native with two little kids I can second that this is an amazing city for families. Next time you are here, take the kids to the BEAUTIFUL Maggie Daley park next to Millennium Park (where the Bean is located). It opened last year. 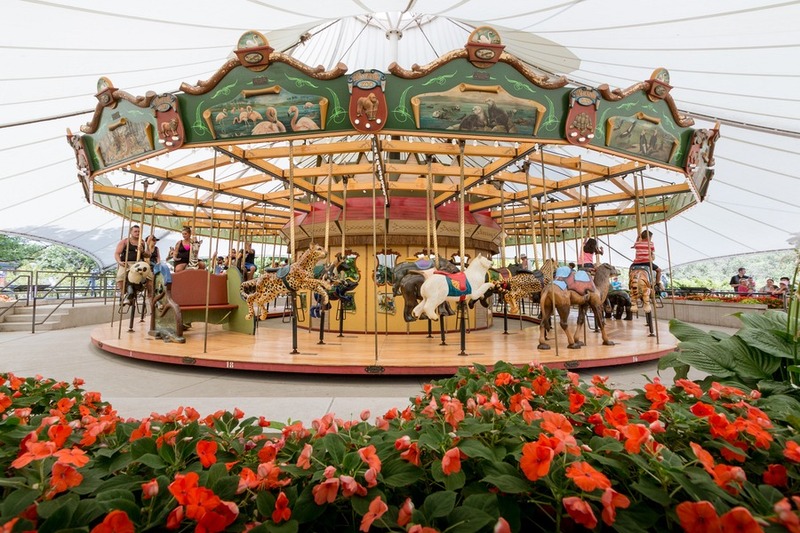 A wonderland for kids and adults. 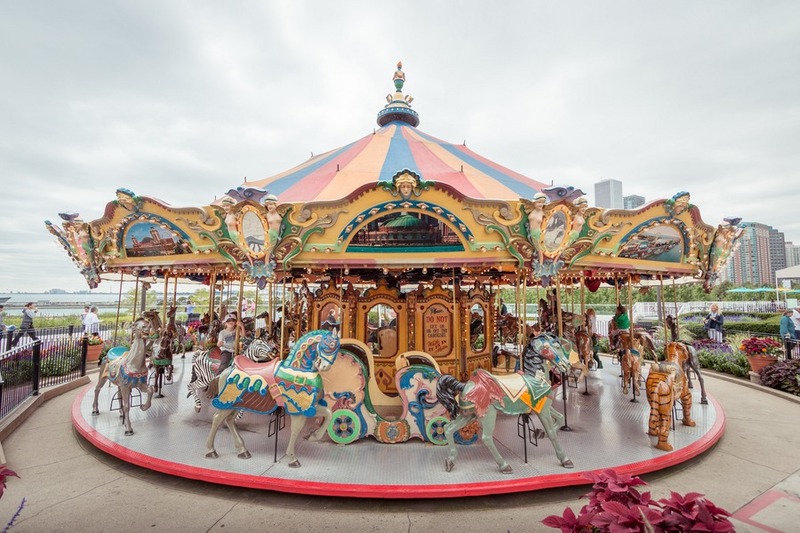 Also rent a 4 person family bike at Navy Pier and ride it north up the shore (towards the zoo). The park is AMAZING. Larger than central park, just stretched out across the shore. There are great beaches up north, too. Try the Nature Museum next to the zoo if it's a rainy day (and your kids are under 7 years old) or if the Shedd and Museum of Science and Industry will be crowded. 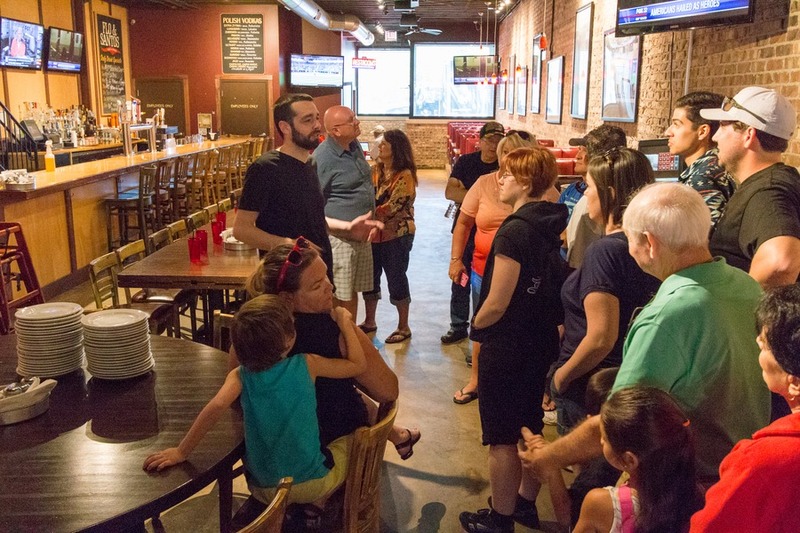 There are so many neighborhoods to explore - get out of the downtown area and try them out! Have fun!